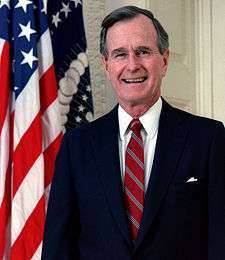 The inauguration of George H. W. Bush as the 41st President of the United States was held on January 20, 1989. 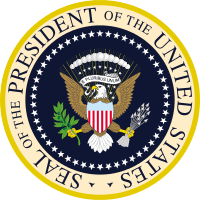 The inauguration marked the commencement of the four-year term of George H. W. Bush as President and Dan Quayle as Vice President. 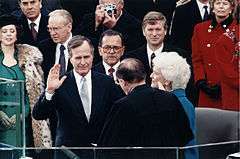 Chief Justice William Rehnquist administered the Oath of office.